Airtech clean room lights are compatible with all clean room ceilings and are optimally adjusted to your room by our lighting calculations. A clean room makes particularly heavy demands on the lighting strength and the sealing of the luminaries. You will receive integrated and surface mounted lights that comply with the highest requirements. Airtech lighting systems Compactly designed integrated lights Can be assembled at the intersection between the ceiling and the wall Can be surface mounted Can be built in to plasterboard ceilings Can be adjusted to scale Various wattages with optimal effectiveness Electrical connections are ready to plug in Ideal lighting environment and a comfortable atmosphere create optimal conditions with our lighting devices. 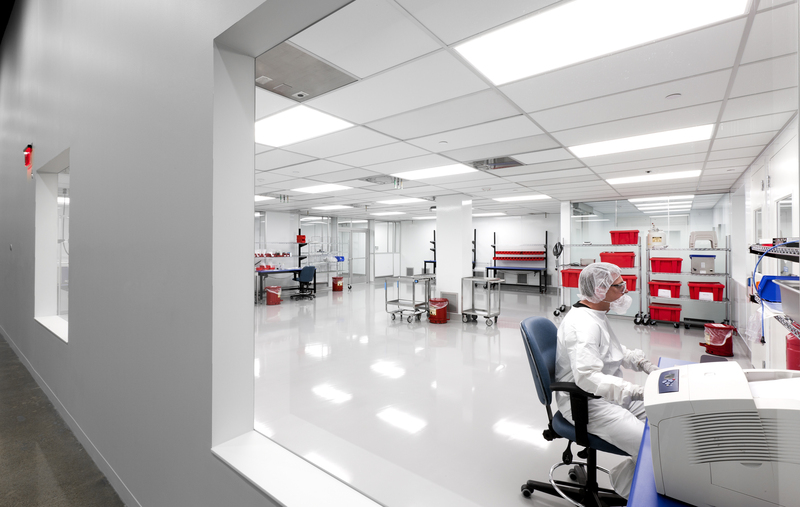 Airtech clean room lights are compatible with all clean room ceilings and are optimally adjusted to your room by our lighting calculations. A clean room makes particularly heavy demands on the lighting strength and the sealing of the luminaries. You will receive integrated and surface mounted lights that comply with the highest requirements. Ideal lighting environment and a comfortable atmosphere create optimal conditions with our lighting devices.